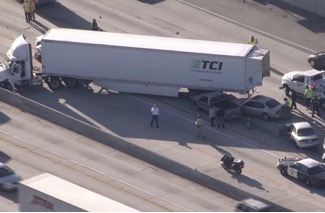 Truck Accident Personal Injury Lawyers in Kern County, California – We are Experienced & Trusted Legal Experts for Truck, Car & Wrongful Death Accident Claims! Find A Trusted Legal Expert To Handle Your Truck Accident Personal Injury or Wrongful Death Claim In Kern, California! Truck collisions in Kern County, including Bakersfield, cause major injuries, property damage and sometimes even deaths with wrongful death accident claims. Our personal injury lawyers in Kern County, California provide aggressive yet compassionate legal support to victims of serious truck, motorcycle and car accidents, and to families involved in wrongful death claims of loved ones who were killed in tragic truck, motorcycle or car accident fatalities. We are professionals with more than 40 years of experience providing exceptional legal services to victims of truck collisions or the families and relatives of people who were killed in a truck or other fatal accidents. Please contact us now for expert legal consultation from our experienced personal injury lawyers and legal team for a completely FREE & CONFIDENTIAL CONSULTATION and CASE EVALUATION. Click here to reach us for a truck accident case or wrongful death case consultation. For more details on our experienced Kern County, California personal injury lawyers, check our lawyer profiles. Check out our Truck Injury Accident Web Site to learn more about the truck accident injury claims process. And for more help about your own specific truck, car or motorcycle accident claim, simply call 1.866 INJURY 2 or 1.818-222-3400. Spanning across the southern end of the Central Valley, Kern County comprises the Bakersfield, CA Metropolitan Statistical Area. The county seat fo rKern is Bakersfield. 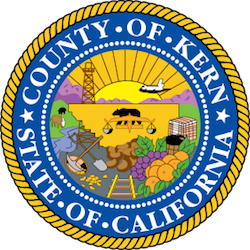 According to U.S. 2010 Census, the population of Kern was 839,631. Covering 8,161.42 square miles, Kern County ranges west to the southern slope of the Coast Ranges, and east beyond the southern slope of the eastern Sierra Nevada into the Mojave Desert, at the city of Ridgecrest. Kern County is a famous destination for intrepid travelers. If you love historical buildings, you’ll love visiting this place. Kern County takes great pride to preserve the history of their pioneers and where they once lived. Tourists can visit the Kern County Museum to explore 56 historical buildings well preserved on 16 acres of land. Moreover, tourists can also explore the beautiful wilderness of this place with fishing, hiking and camping at Kern Canyon. Truck accidents in Kern County, Bakersfield and California often lead to debilitating injuries and in some unfortunate cases even fatalities. The mammoth size and force of big rig commercial vehicles like 18 wheeler trucks can be a major safety concern for those who share roads with them, particularly for smaller vehicles like cars and motorcycles. Due to their great momentum, that is, weight times speed; large trucks often cause much greater damage and injury to passengers in smaller vehicle. 1840s adobe Barracks No. 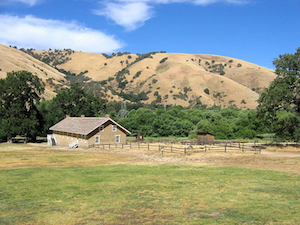 1 of Fort Tejon — in Fort Tejon State Historic Park with the Tehachapi Mountains beyond in Southern California. At Tejon Pass on I−5 (old Hwy 99) in southern Kern County, Calif.
For legal assistance in these intricate details of your Kern County truck personal injury case, contact our experienced truck accident personal injury and wrongful death accident lawyers who can better explain things to you in a FREE CASE EVALUATION AND CONSULTATION. Determining the cause of a truck accident is of utmost importance when pursuing a legal claim for compensation for your injuries and damages incurred in a truck collision. The cause (i.e., liability – who is at fault) will determine whether one is entitled to compensation and whether any reduction needs be made for comparative negligence or other liability factors. So, if you were injured in a truck accident or car accident in Kern County, California or someone you know was injured, suffered a catastrophic injury or was killed in a truck collision and has a pending personal injury or wrongful death claim, please contact us now for an absolutely free case consultation and confidential case evaluation. Call Us now for a Free Case Evaluation - No fee is Charged Until You Win! For our quick and easy way to contact us, fill-out your case details in our contact us form and tell us all about your truck accident personal injury case or other injury accident. Our lawyers and legal experts will get back to you in no time. You can even send us your questions and information via an email at info@WalchLaw.com. We also work on contingency fees – which means there is NO fee until you WIN!